If not for our farm box I would never have struck up a relationship with an acorn squash. 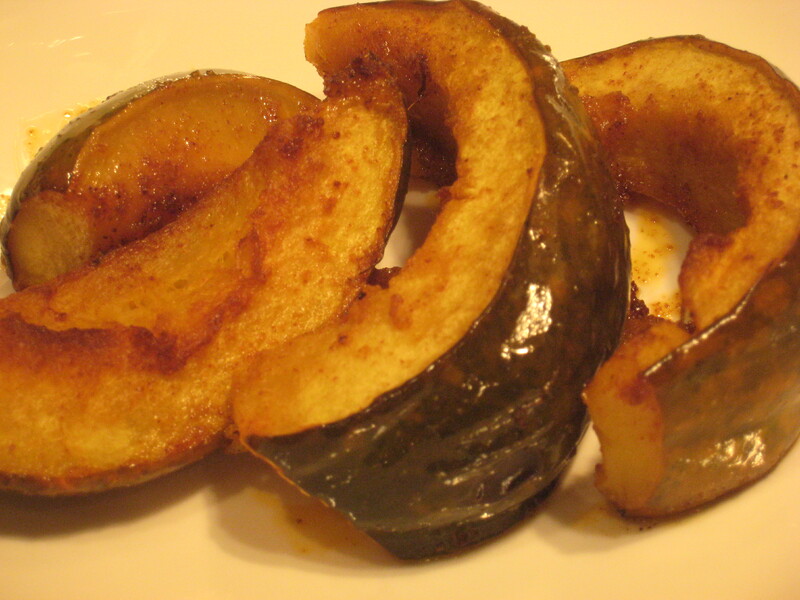 Cut squash in half and remove seeds, then cut into wedges. Brush with olive oil and add spices. Roast at 350 @ 30 minutes flipping halfway through.